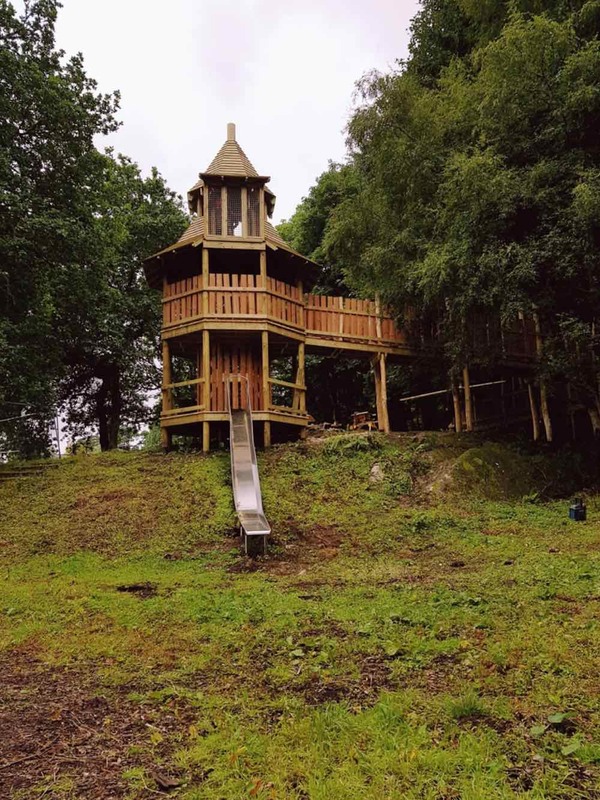 We recently showed the view of the site and some of the visuals for the planned build of the adventure play at NTS Crathes Castle. It’s a steeply sloping site, which gives us some interesting challenges and opportunities. 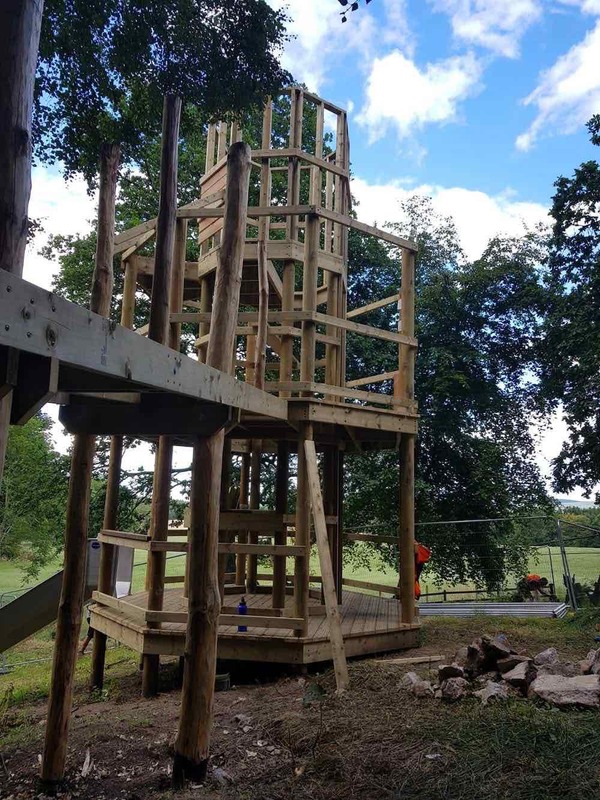 It’s a new adventure play build in the grounds of the 16th Century Castle. The challenges are obvious. Working on steep slopes affects the placement of support poles and also means that some need to be extra long to build a level platform. But the opportunities outweigh any issues. The biggest of which is allowing the team to create on and around the slope itself. So rather than slide down and walk up some steps to go again, you now have multiple different routes to get back to top. Of course, you can still walk around, but now you can climb up the climbing wall too. It’s that extra small challenge or micro-adventure that we love. It ensures that the more you play, the more you can play. So, the braver you become, the more of the play comes into play. So let’s look at the build in progress. Firstly, here’s the framework for the Green Lady’s Tower. It acts as a central hub to distribute the visitors out through the rest of the play. Even here, you can see the effect of the slope on the build. Looking at the Tower from below, the slope becomes even more apparent. You can also see some of the rocks in the foreground that make up the climbing wall. 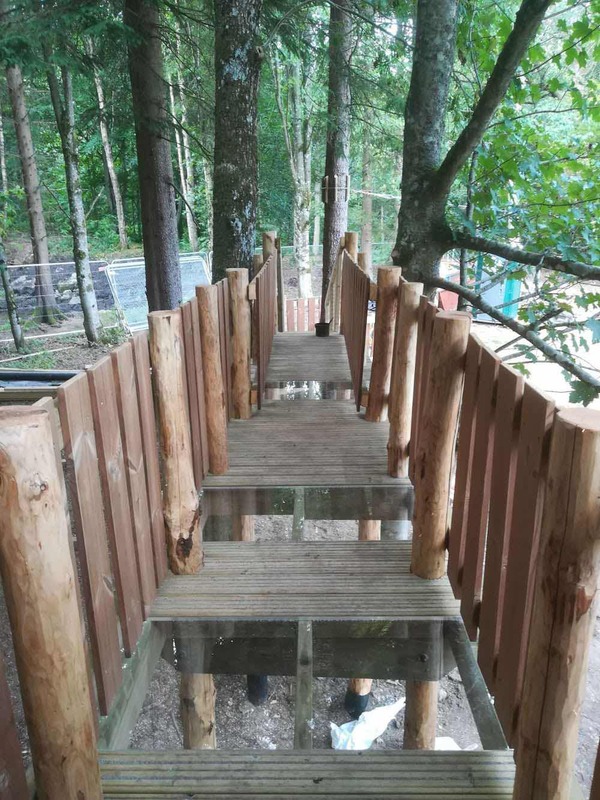 One of the features we always love is adding a ‘glass’ walkway. It offers a level of challenge that will hold no fear for some and be completely terrifying for others. So for one who couldn’t take the challenge first time, their second, third or even fourth time success will give them a real feeling of accomplishment. 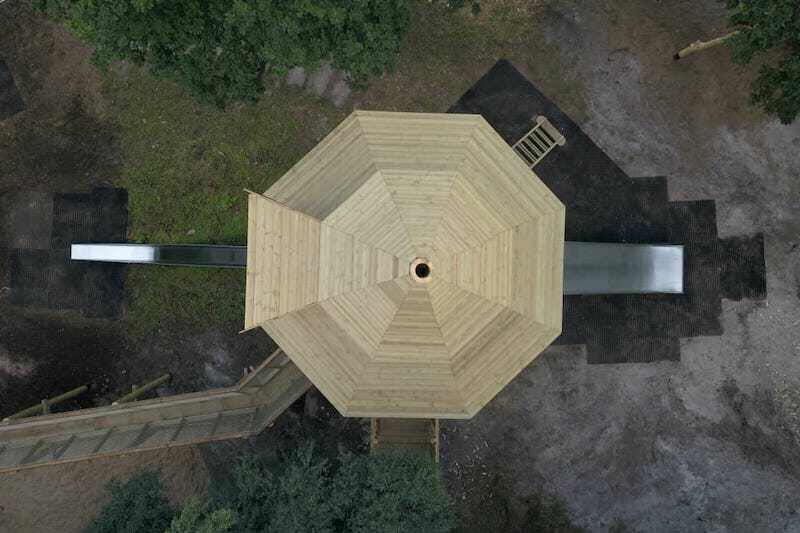 There’s a second smaller tower which has the long V walkway leading off it and contains some fun features. 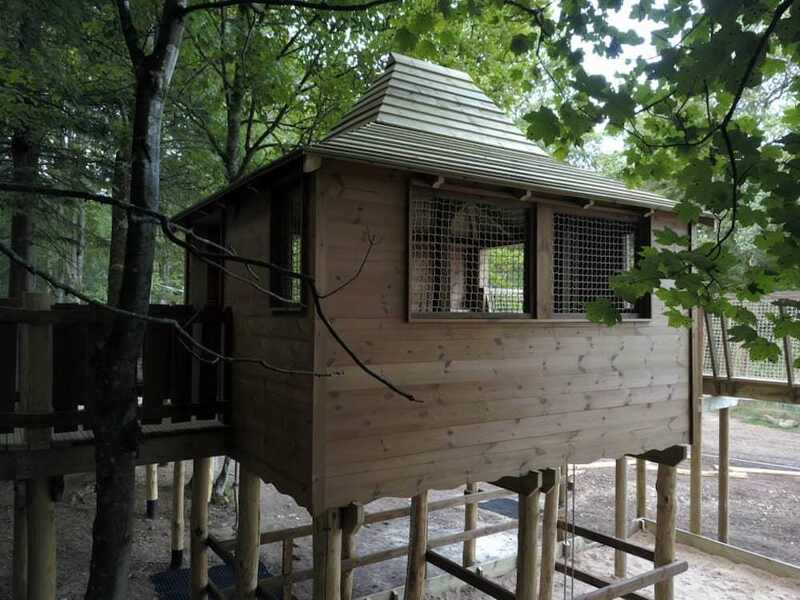 This second, smaller tower within the build contains the accessible tabletop sand pit. 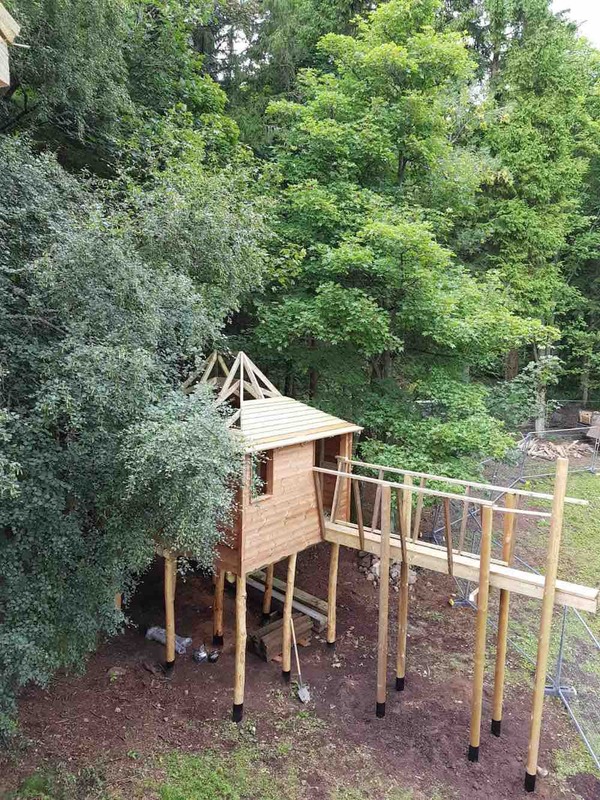 You can just about see the addition of the pully buckets which lead down to the giant sandpit below. 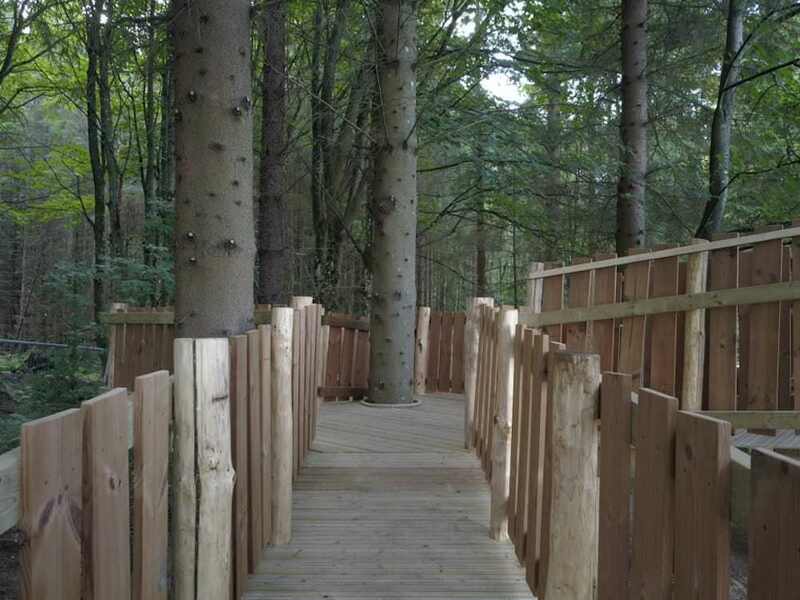 With the walkways near complete, you begin to see some of the finishing. 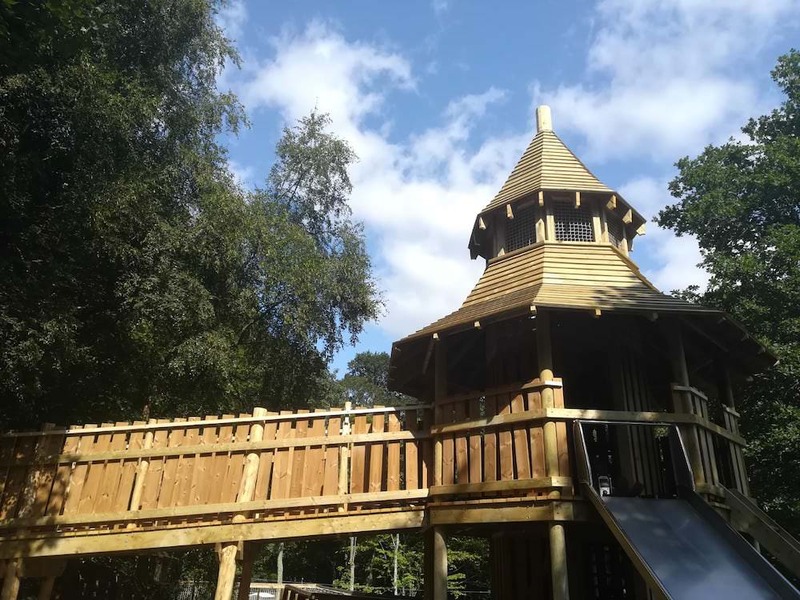 Barely a right angle in sight, but building woodwork this wonky takes far more effort – And we absolutely believe it’s worth it. The finished Green Lady’s Tower and one of its many wonky walkways. And finally you get a sense of scale. 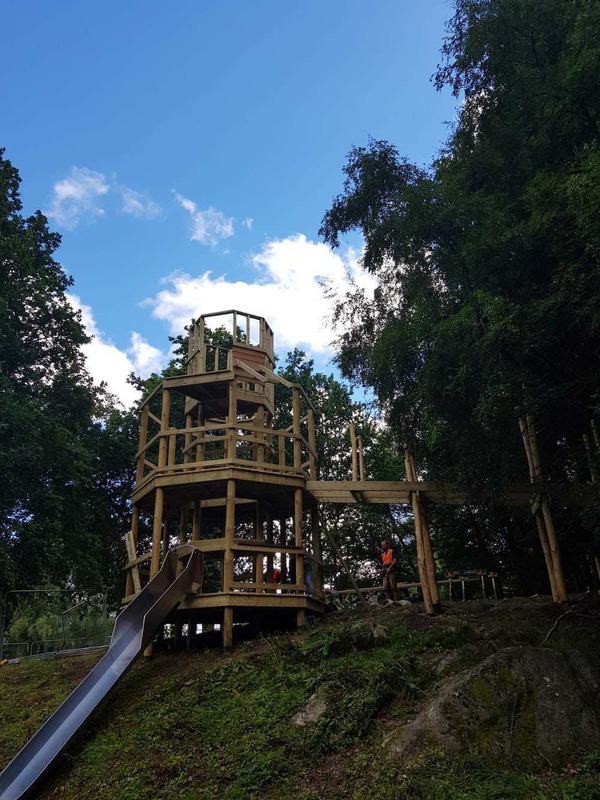 The Green Lady’s tower and the slide that leads from it sits atop its hill and is almost ready for the families of adventuring marauders. When it’s all up and running, we’ll come back and revisit and show you it in action.